At the daily chart the EUR/USD currency pair continues forming the third ascending wave with the target at the level of 1.3500. Right now the market is moving upwards and forming the last structure, the fifth one, inside this ascending wave. This week, in my opinion, the market may continue growing up towards the target without any serious corrections. 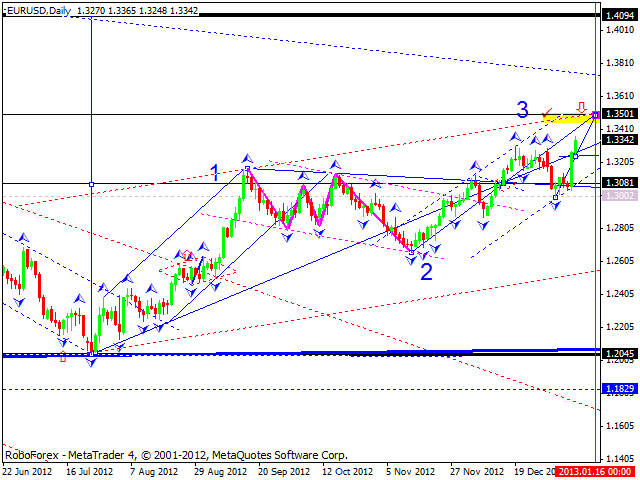 After reaching the target, the price may start a correction to return to the level of 1.3080. 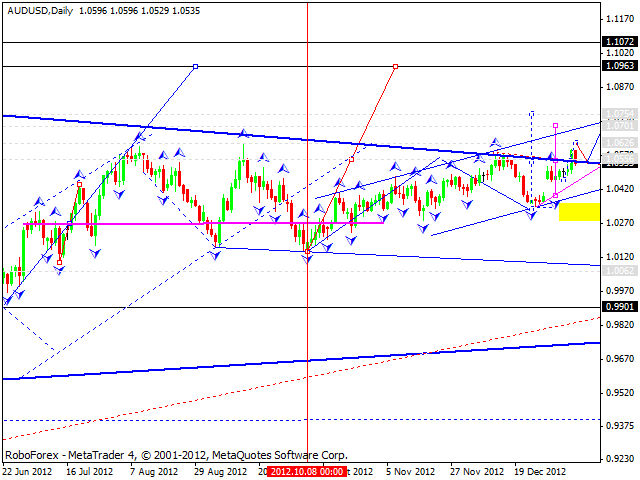 At the daily chart the GBP/USD currency pair is forming an ascending wave. 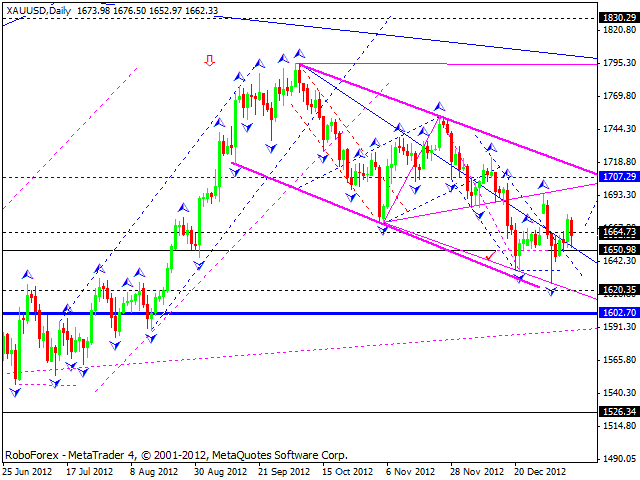 I think this week the price may continue growing up towards the target at 1.6400 without any serious corrections. Later, in my opinion, the pair may form a correction to return to the level of 1.6120, at least. 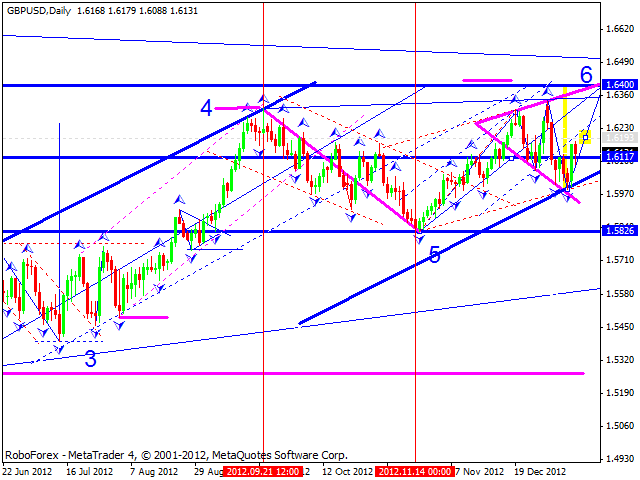 At the daily chart the USD/CHF currency pair is forming the third descending wave and right now the price is in the middle of the fifth structure of this wave. This week, in my opinion, the market may continue falling down towards the target at 0.8980 without any serious corrections. After reaching the target, the price may start reversal pattern to form a correction to the level of 0.9240. The USD/JPY currency pair continues moving upwards. 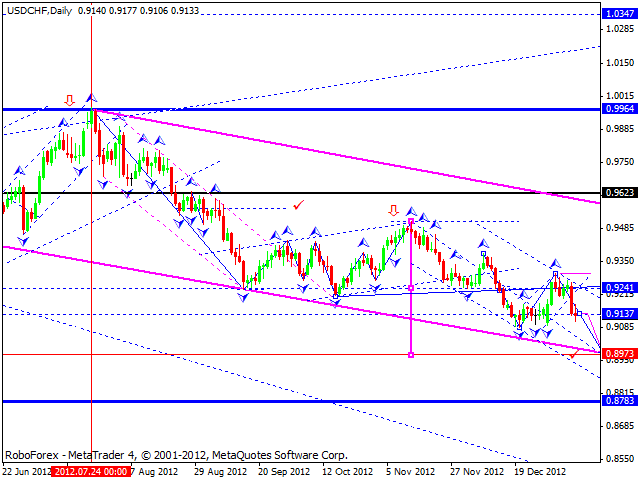 At the daily chart the price formed a continuation pattern near the level of 86.88. I think the market is going to reach the target at the level of 98.50. This week I expect the pair to continue growing up without any corrections. 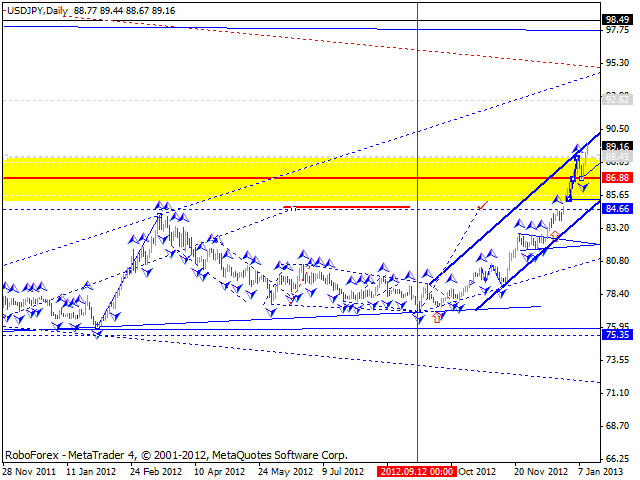 Australian Dollar continues forming an ascending structure. At the daily char we can see the third ascending wave with a predicted target at 1.0750. in my opinion, this week the price may complete this wave, reaching new tops and returning to the level of 1.0550. As a result, the pair may form a continuation pattern to reach the level of 1.0960. Gold is forming another ascending correctional structure. The target is at the level of 1707. I think this week the instrument may reach a local target at 1690, start a correction towards the level of 1670, and then continue moving towards the main target at 1707. After that, in my opinion, the price may start falling down and form the fifth wave of this structure with the target at 1620, at least.